Analog Man carries the Boss MICRO BR Digital Recorder. Meet the ultimate palmtop guitar companion and recording studio. Only slightly larger than an iPod, the tiny-yet-powerful MICRO BR is a dream for musicians on the go. 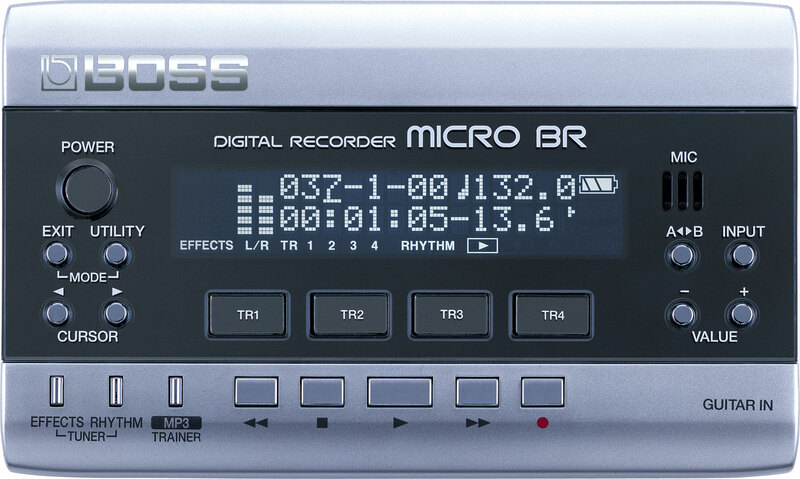 At its core, the MICRO BR is a four-track studio with four simultaneous playback tracks and two simultaneous record / input tracks.However, there’s more to this recorder than meets the eye. Each of the four main playback tracks also has eight companion V-Tracks (for a total of 32), so you can record take after take after take, then pick your best material for final mixdown.